It’s all happy families for the seals at Living Coasts. 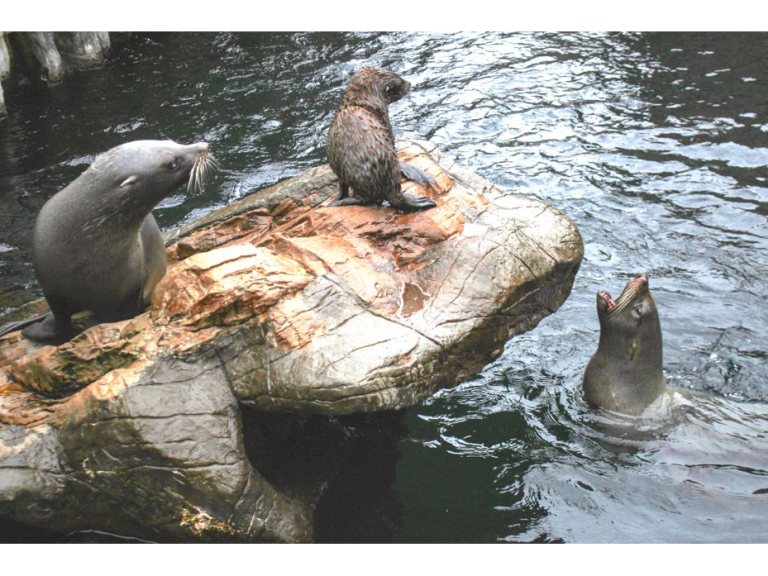 The extended family of South American fur seals is together for the first time in over six months. Up to now, the latest pup to be born at Torquay’s coastal zoo, Tamar, has been too small to be with the others. South American fur seal Grace gave birth at Living Coasts in May. Living Coasts Head Keeper Lois Rowell explained: “We separated them when Grace took herself off to give birth in the peace and quiet of the off-show area. Tamar was named by local business Tamar telecommunications. Managing Director Jamie Christoforou made a successful bid for the right to name the pup at Paignton Zoo’s charity adoption auction. For more information go towww.livingcoasts.org.uk or ring 01803 202470.